All the more reason to fight tooth and nail, to end bullying. According to the American Association of Orthodontists (AAO), most orthodontists in the U.S. have seen evidence of bullying among their patients with noticeable teeth problems. A recently published study indicated a high prevalence of bullying in Jordanian schools, with many children experiencing bullying because of their dental or facial appearance. According to the study, kids with buck teeth, gaps in their teeth, crowded or missing teeth, are more likely to be the target of bullying. An exciting and super event coming up in the New Year! 60 + booth participants include salons, beauty consultants, health practitioners, physical therapists, clothing boutiques, travel agencies, financial services and charitable organizations! 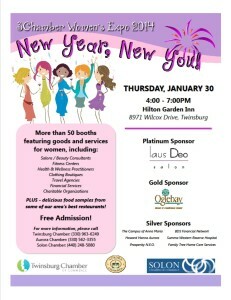 Fabulous door prizes and delicious food samples from some of our areas best restaurants! Admission is FREE and all are welcome to enjoy this amazing expo brought to you by the Aurora, Solon and Twinsburg Chambers of Commerce. "When you follow Dr. Violet's instructions properly, the orthodontic treatment is smooth sailing." Violet Orthodontics LLC © 2007-2019. All Rights Reserved. Web design and empowerment by Day 4 Media.